A creamy blend of Strawberry, Bavarian Cream, and Sweet Cream. Very good, smooth & creamy flavor! A nice creamy strawberry flavor. I would recommend this one! Yummy! Went in to the Scottsdale Rd location for the flavor of the day Dairy Dude… So glad they were out of a 3mg and recommended a 120 of this instead. It goes nicely with my new ijoy captain mod and my big ol druga rda with some twisted 24guage with flat ribbon Clapton’s. Thanks again to the awesome sales reps for the recommendations. Can’t get enough of the sweet strawberry and creamy flavor … every time I vape it my family says it smells like ice cream which means a run to sonic. 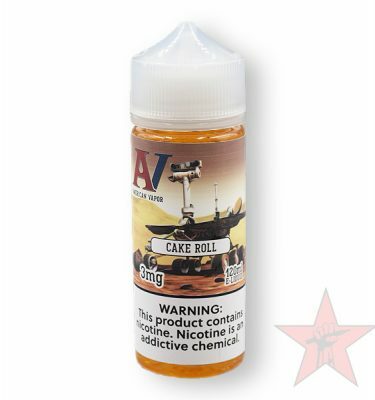 A very smooth mild strawberry flavor mixes great with Creamy Nut! (Mellower version of Unicorn Dream a ltitle more subtle… ) I switch off between mixing the 2 with a Creamy Nut base just for a slight change in flavor. French vanilla, custard, and caramel. Birthday cake, cupcake, and creams.